Home→Brothers Kuhn Blog→Return of the Monsters! The Comics Code Authority: (1955-2011): R.I.P–NOT! The tumultuous decade of the 1960s began with the Peace Corps, the World Wildlife Fund, and Leave it to Beaver. It ended in assassination, war, Woodstock, and Charles Manson. Monsters real and imagined crept out from their abodes and made their dwellings openly amongst us. 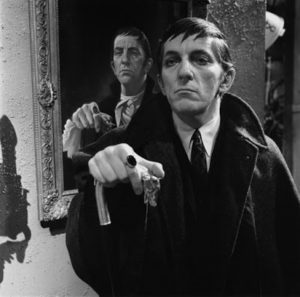 In movies and magazines, trading cards and comic books, soap operas and children’s shows, monsters seemed to crop up everywhere and in the least likeliest of places. This Revival (or resurrection if you will) was in part a result of the counterculture’s growing influence on societal norms and the attenuation of acceptable standards. A new zeitgeist emerged from amidst the crumbling brick edifices of smoked-caked Fat Albertesque buildings and the Jack Davis alleys, shrouded in cross hatching. 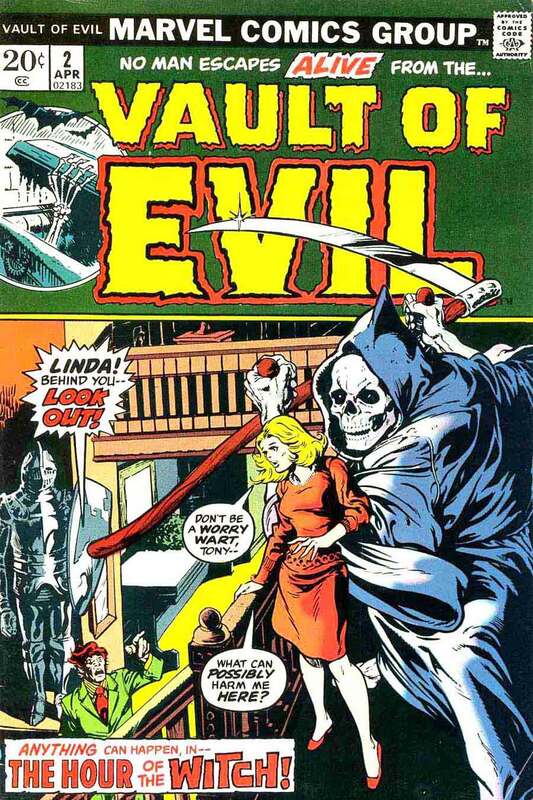 The creation of the Comics Code Authority(CCA) in 1955, effectively neutered horror comics. 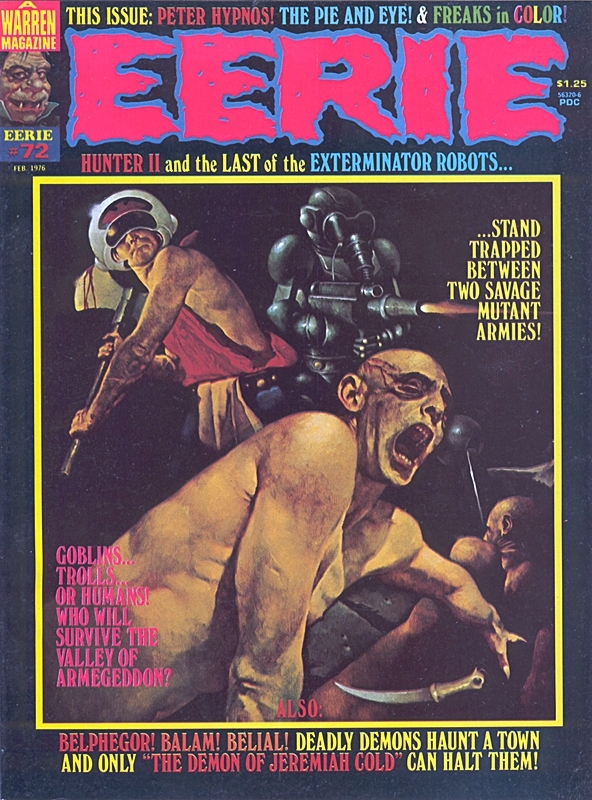 James Warren, publisher of Warren Publishing, remarked that the CCA “…had a cleansing kind of effect on comics, making them ‘clean, proper and family-oriented’ .. horror stories and all other stories the Code deemed unacceptable were relegated to magazine format; only here could they be enjoyed without the accusations of ‘seducing of the innocent’”. 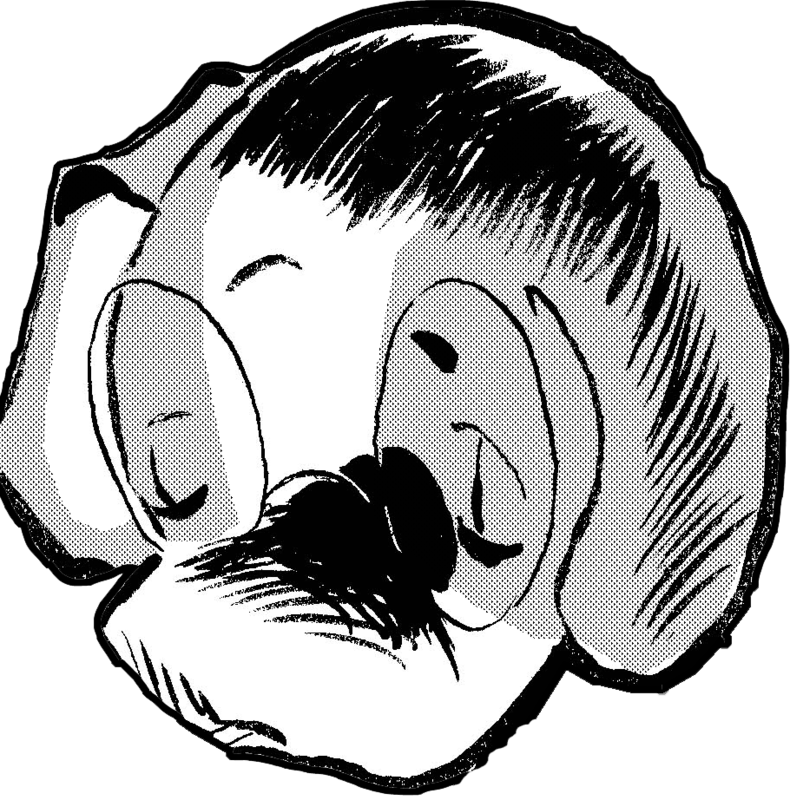 The edgy comics of the forties and fifties were replaced by the safe, bland pablum that passed for comics seen in the late fifties and the early sixties. Creepy #49: (October 1972): Imagine walking into your neighborhood Mom & Pop one autumn day and seeing this beauty in all its colorful gore on the stands? And our mom actually bought it for us! Cool! Thanks, Mom! 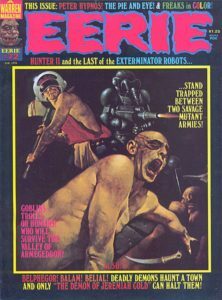 Eerie #72: (February 1976): Who needed art appreciation classes? We grew up on the art of the great Sanjulian himself, thanks to this 1975 Christmas gift. Thanks, Bro’! 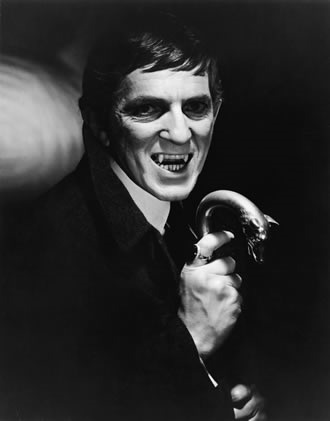 Warren, already publishing Famous Monsters of Movieland, later added to its stable Creepy and Eerie (1964 and 1965 respectively) and later, Vampirella. These magazines proved hugely popular and inspired Marvel, DC and other comic book publishing houses to dust off their considerable inventory of monster stories and dole them out in countless reprints. Fear, Where Monsters Dwell , Chamber of Chills, Monsters on the Prowl, Vault of Evil, Supernatural Chillers— the output was staggering. Stories from the 1950s inundated the newsstands, brought back and revived for a new generation. 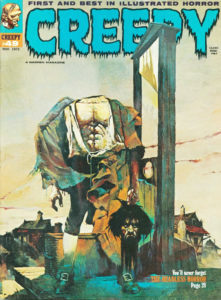 New tales were produced by contemporary creators that captured the spirit of the horror comic of the previous decade. The stage was set for the next innovation. 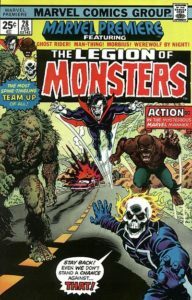 Enter the antiheroes: the revision of the comics code authority in 1971 resulted in a legion of monster-heroes making their debut. 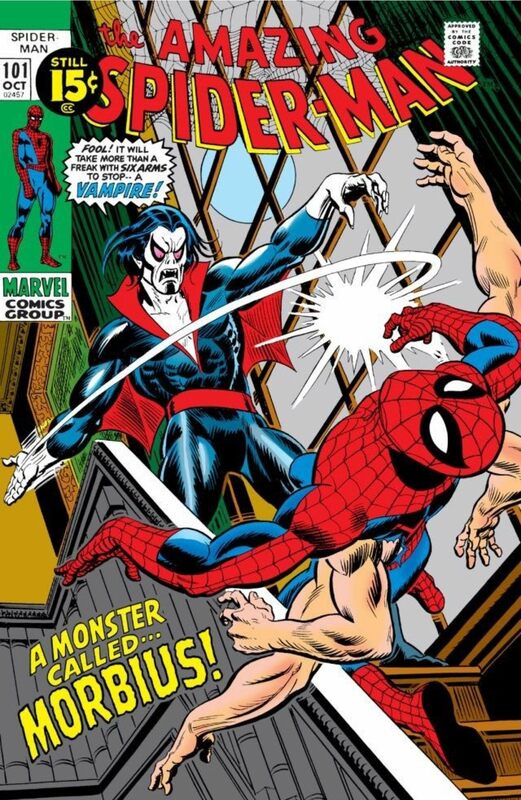 Stan Lee was quick to take advantage of the chink in the Code’s armor and introduced Marvel’s quasi-vampire, Morbius. 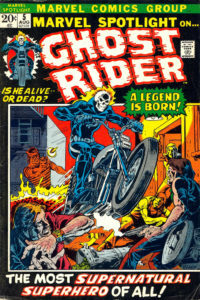 Marvel Spotlight served as a convenient platform to introduce new characters; notably, Werewolf by Night, Son of Satan, and the Ghost Rider — all of which were popular enough to merit their own titles. Strange, hellish images now assailed comic readers monthly– scary demons, coupled with a menacing biker culture; blood- sucking vampires , man-wolves and werewolves who stalked the hapless innocent nightly. Where Monsters Dwell #16: (Jan 1970): It was back to the future as Stan brought back oldies from the 50s, such as Googam, Son of Goom. . .
. . . and Oog, in Monsters On The Prowl #20 (Dec 1972). 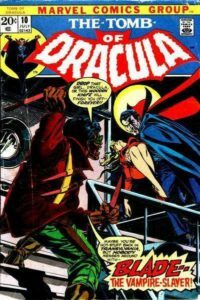 . .
And the groundbreaking and epic Tomb of Dracula, which not only brought the most famous vampire of all to the Marvel Universe, but also cool characters like Blade (some kids like the Wizard of Oz–we liked Blade!). What’s better than one monster? Why, a whole team of monsters, of course! 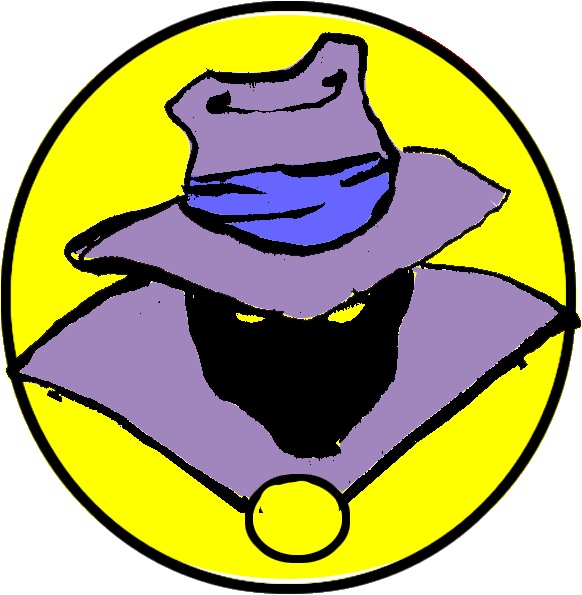 Which Marvel assembled in Marvel Premiere #28. 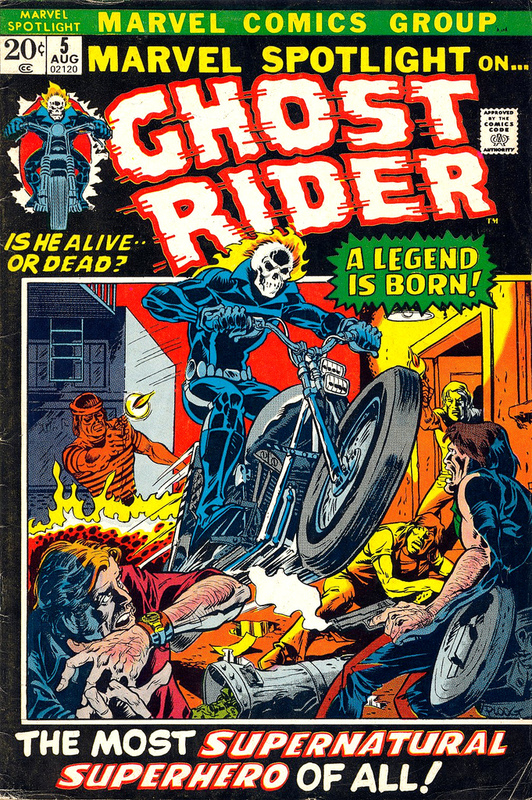 Marvel Spotlight #5: (Aug 1973): A guy riding a big motorcycle in black leather with a flaming skull–we just had to have it! At first Mom didn’t think this appropriate for 6-year-olds, but after we explained our thesis of the “hero-monster” as the modern-day incarnation of the tragic hero, she was all for it and bought it. Thanks again, Mom! Suddenly, comicdom couldn’t get enough of monsters. The concept of the “hero-monster” emerged and struck a nerve with readers everywhere. It gave new meaning to the idea of the “tragic hero” and transformed the one-dimensional stereotypical monster into something much more complex and oddly, much more human. Readers could relate. Eventually, with the arrival of direct market distribution and the gradual influx of independent publishers, (those stalwarts who bucked convention) the Comics Code Authority had become an anachronism. By 2011 it was abandoned altogether–and passed into history quietly,without fanfare or remorse. Odd Rods: (1969-1973): Monsters even penetrated the world of trading cards/bubble gum in the form of the Odd Rod stickers. What kid could resist the irresistible combination of monsters, hot rods, stickers, and bubble gum? We knew we couldn’t! Barnabas Collins of Dark Shadows: (1966-1971): Even soap operas couldn’t escape the 1970s monster invasion. Imagine coming home from kindergarten to be thrilled (and frightened to death, to be honest) by vampires and werewolves (instead of bored to death by General Hospital)! But we hurried home for more all the same! 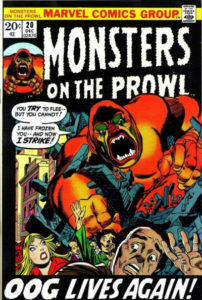 The early 1970s saw a return, resurgence, and renewed interest in monsters, a return that affected not only comic books, but movies, TV, and even trading cards. 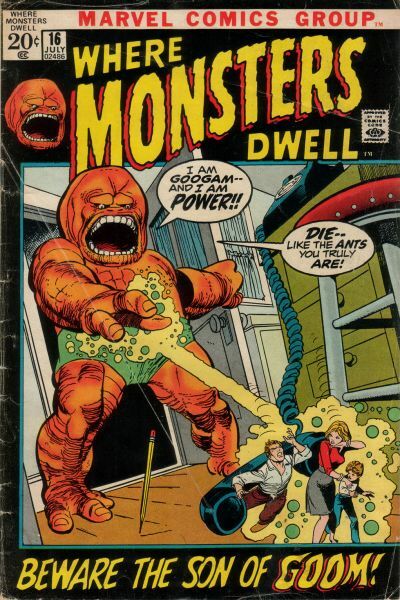 Ironically, shortly after having gained acceptance, by the mid-’70s interest in monsters began to wane. The majority of titles were cancelled and most of the magazines folded. 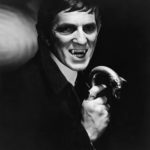 Dark Shadows had long ended and Odd Rods disappeared from store shelves. 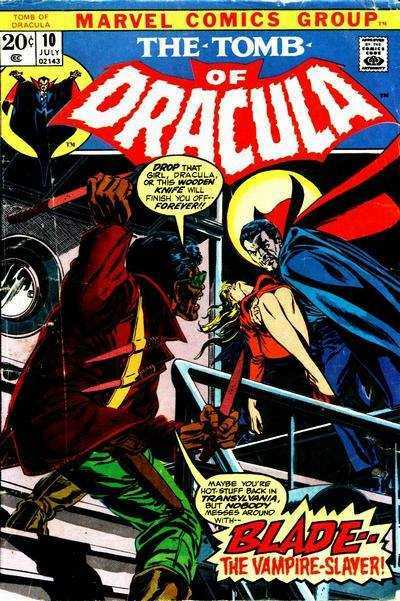 Finally, even the great Tomb of Dracula ended its run in 1979. The monster fan base had moved on, displaced by the Kung Fu fad craze which had set in. Yet you can’t keep a good monster down. They will always remain lurking on the fringes of society, be it the monsters that entertain, or those less obvious”mad monsters” who would threaten the dignity of humankind reflected in our most basic freedoms. We just need to recognize the true one.